For use with Shimano WH-R501 front hubs. Cones can`t be used for WH-R500. I need cones for WH-R500 and I bought this assembly because is in description as suitable for R500. Does this item include ball bearings and cones as pictured? 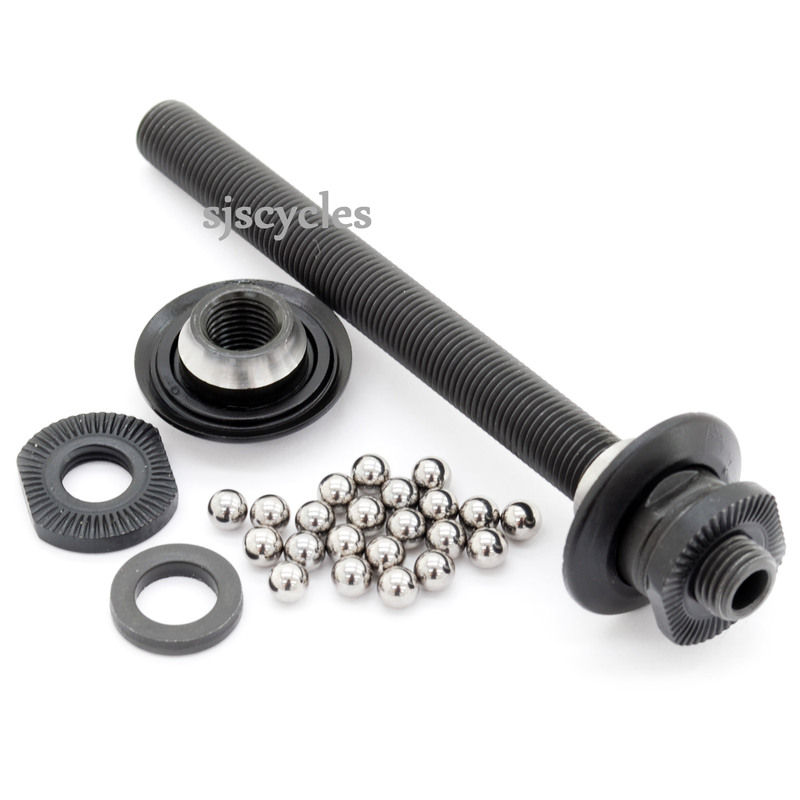 Also does the rear axle assembly for the matching rear hub include these parts too? This comes exactly as pictured. Hi Does This Hub Assembly Come With Seal Rings To? This axle assembly comes as pictured so does not include the seal rings, these are available separately though and are SJSC part 23516.